Tredget's book, ultimately a love story, follows Anna on the cusp of her 30th birthday. Despite a loving partner who may or may not be about to propose, Anna signs up for Kismet, a matchmaking app that rates and geolocates potential mates. When Kismet finds Anna an exceptionally high match, an 81, her professional, personal, and romantic lives begin to unravel, spiraling towards chaos. "I wondered what it would be like if social media didn't just make us crave alternative lives, but actually helped us achieve them as well. I pictured websites or apps that helped us find better jobs, friends, and of course relationships, and that's how I arrived at the idea for Kismet," Tredget said. "I feel I've been quite lucky with how the imagined technology that powers Kismet — an algorithm that analyses data from the totality of someone's online behavior — has mirrored real-world scandals with Facebook and data harvesting. It definitely gave the book more of a satirical edge, which was unintentional but very welcome." Technology and a strong protagonist powered Tredget forward through early drafts. After an agent told him "it sounded a little one note," Tredget developed sub-plots, separate stories that stood apart while also reinforcing the primary. To keep it all straight, Tredget transformed his book into a spreadsheet. "I conceived each plot or sub-plot into distinct beats, which then ran in separate vertical columns next to each other. Each vertical row would then correspond with a scene or chapter, and I would be able to make sure that every sub-plot was being moved along regularly, if not every chapter, than at least every other one." Tredget said the spreadsheets helped him organize, but also brainstorm. "This method helped me come up with ways for different sub-plots to overlap or become dependent on one another. Essentially, spreadsheets are the same kind of visualization tool as using post-it notes on a giant board, but with the benefit that a spreadsheet can be saved, copied, and tweaked endlessly." Tredget obtained an agent, Georgia Garrett at Rogers, Coleridge, and White, after she read a short story he published in a graduate school anthology. "We then worked together on Kismet for the best part of a year, and she was instrumental in changing the overall tone from a more minimalist, dystopian one to something more rounded, generous, and grounded in Anna's character," he said. Garrett shopped the manuscript around, and Tredget's Faber and Faber editor Louisa Joyner snapped it up, followed by Jean Garnet for Little, Brown in the U.S. a year later. Tredget acknowledges the process was "quite smooth," adding he knows the pain of having it go otherwise. "I'd had quite a bumpy ride in the past. I wrote a novel a few years ago, which I sent out to lots of agents, but without success." 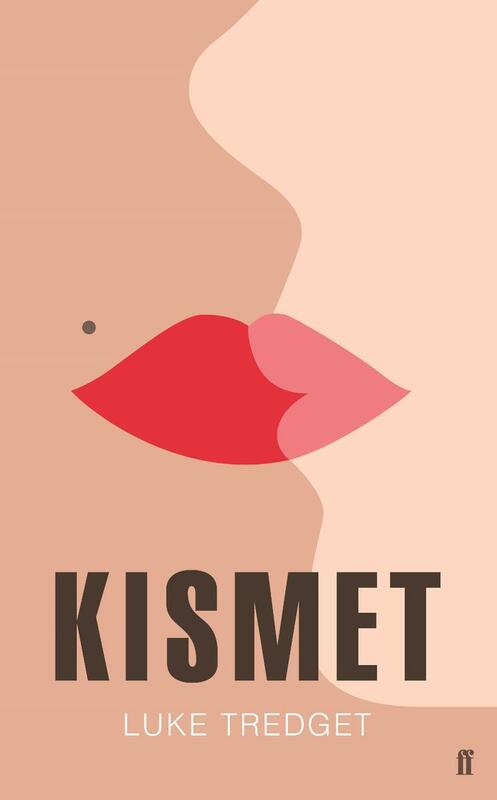 Joyner convinced him to change the title from Anna 81 to Kismet, and the book was off, arriving on British bookshelves in May and in American book stores and libraries earlier this month. Tredget is now back to his day job in London, working in global disaster response for the Red Cross, spending time with his 18-month-old daughter, and trying to finish his next novel. "One piece of advice that I received from many separate sources was to make sure I had my next novel well underway by the time my debut came out," Tredget said. "Everyone said that the promotional work and focus on the book being published would make it hard to find the time and headspace to get a new one off the ground. With this in mind, I've been gradually churning out my next one. "I'm really grateful for having received this advice, as it's great to have a new project to distract me from the somewhat-daunting publishing process, especially as the book is completely different from Kismet. This time I'm writing about a young guy who accidentally meets and strikes up a friendship with an illegal migrant in London, and ends up helping him to exist in the shadows." Find Luke Tredget on Twitter @luke_tredget.